One of my 2018 New Year's resolution was to learn Tableau. Waited until Dec., but I did it! 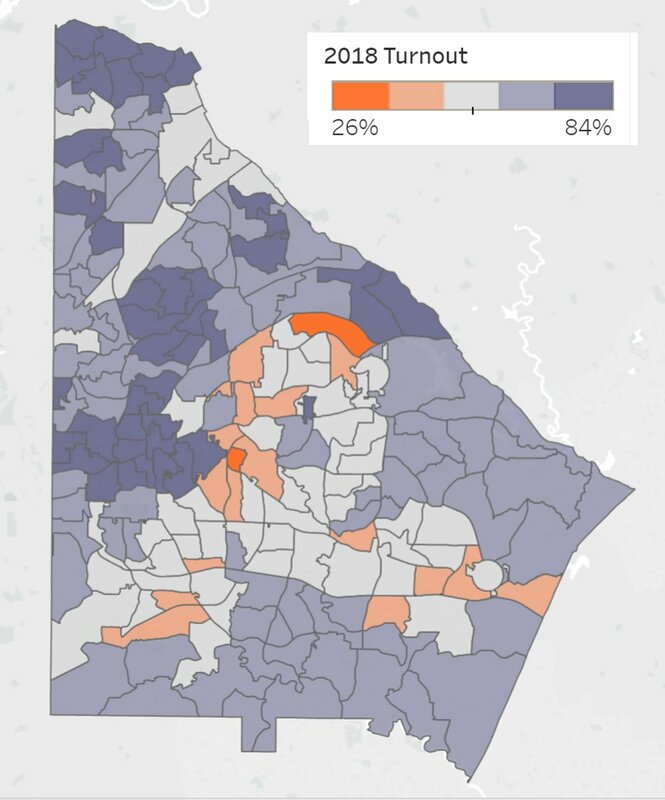 I decided to map DeKalb County, GA's performance for the 2018 governor's race. 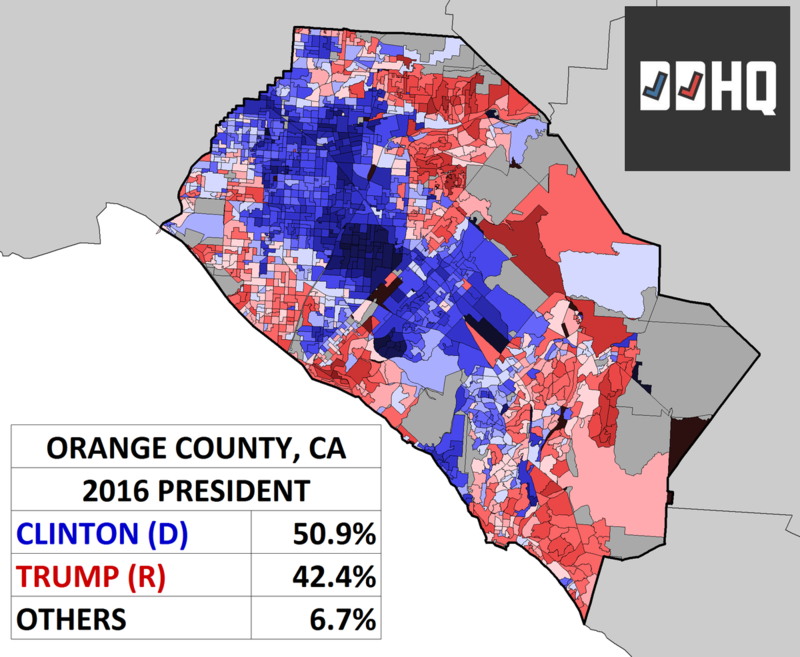 Well guys, tonight on #ElectionTwitter, we're gonna be looking at Orange County. It's California's third most populous county and will be critical for the 2018 midterms. 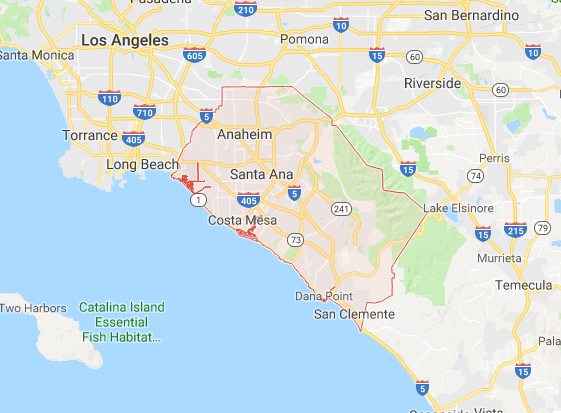 Why is Orange County so interesting? 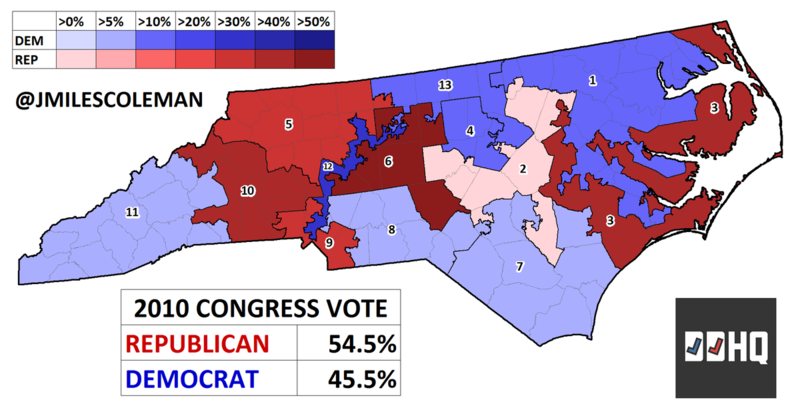 Well, to start, it was one the relatively few Romney -> Clinton counties. She won it by almost 9%, becoming the first Democrat to carry it since FDR in 1936. Despite the county flipping to Clinton, a quartet of districts there (or at least partially contained within OC) reelected R incumbents to Congress: #CA39, #CA45, #CA48, and #CA49.